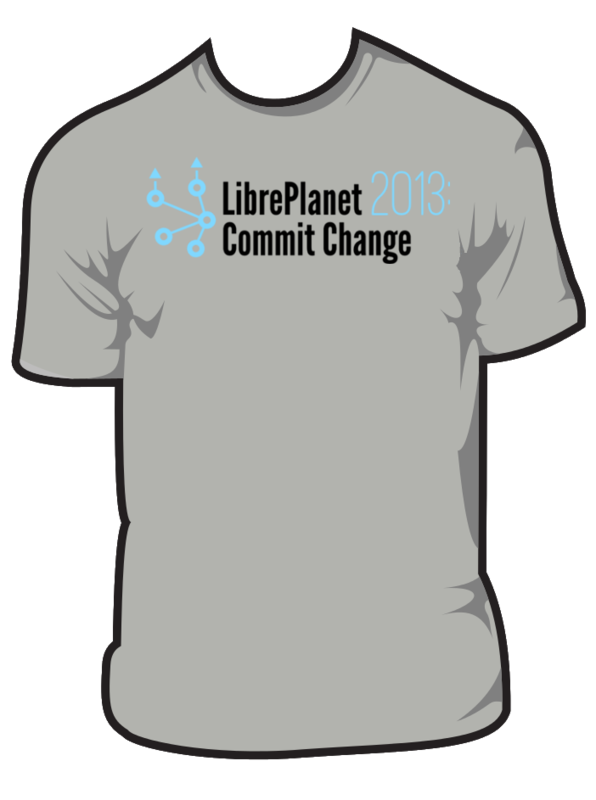 March 23 and 24 are coming up fast, and there are already 150 people signed up for LibrePlanet 2013. Attendees are coming to Cambridge, Massachusetts from around the US as well as far-flung countries. So many free software lovers coming together to swap stories and share ideas! Sign up by this Thursday if you want one of these shirts! The announcement and bestowing of the Award for the Advancement of Free Software and the Award for Free Software Projects of Social Benefit. Winners are kept secret until they accept their awards at the conference. Upstream University, a seminar where developers will learn to contribute more successfully and efficiently to free software. This requires separate registration and space is limited, so sign up now!. A demonstration of LulzBot, the 3D printer that runs on 100% free software. LulzBot is the first piece of hardware to earn the FSF's Respects Your Freedom certification. I'm sad that I won't be able to be at all of these things, but Libby and I will be busy keeping the conference running smoothly and making sure you all are having a great time. It's going to be a lot of work, but we're looking forward to it. By the way, the conference costs nothing for FSF members. So if you've been thinking about becoming one, now is the time. Click here to join our community of members. Three more weeks! If you've got any questions before then, reply to this email or visit the #libreplanet IRC channel on irc.freenode.org to chat with other attendees. Read this message online at https://www.fsf.org/blogs/community/libreplanet-in-three-weeks-3-23-3-24-sign-up-by-thursday-to-get-a-shirt. You can unsubscribe to this mailing-list by visiting the link https://crm.fsf.org/index.php?q=civicrm/mailing/unsubscribe&reset=1&jid=127309&qid=3623369&h=18a3b858ba3a2c0d.